Home » Blog » What’s the value of a Kickstart? 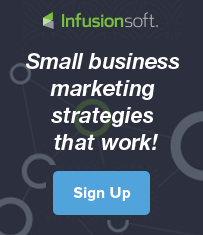 Being Infusionsoft Certified Consultants is very rewarding, because we love to help small businesses succeed — AND most importantly…. our methodology, thoughts and ideas are very much aligned with Infusionsoft as a company along with their 600+ employees. But, one of the things we hear often as consultants is “Why does it cost so much to get started”. Here is a pretty good insight into that, and I am confident that if given half a chance that we will show you the value of having us consult with you and do the legwork to get you off to the races quickly with fresh processes and ideas that will propel your business.